The mumps is a condition that everyone has heard of in their time; it is an infection that primarily targets the parotid glands, which are one of the three pairs of salivary glands that are found in front of and below the ears. It is caused by a virus. If either an adult or a child contracts this condition, it bears the risk of causing swelling in either one or both of the parotid glands. Though it is potentially serious to experience complications of mumps, it is a rare occurrence, and the odds of even getting mumps to begin with are not very good. Before the 1960s, mumps were a very common occurrence, but after the licensing of the vaccine for mumps, the amount of instances have dramatically dropped in number. Since outbreaks of mumps are still present within the United States and are also still fairly common throughout other parts in the world, it is important to obtain the vaccine to prevent this condition altogether. As one may gather, the primary, most common and most familiar symptom of having the mumps is the occurrence of the salivary glands swelling, which causes the cheeks to up and puff outward. In fact, the name of the condition itself, “mumps,” used to be the expression those gave back in the day when referencing bumps or lumps within the cheeks. It is important to go right to the doctor when symptoms of the mumps occur. Because mumps are much more uncommon these days, it is always possible that the present symptoms and signs are being caused by another condition entirely. For instance, swollen glands and a fever are also signs of a blocked salivary gland or tonsillitis, which is the inflammation of the tonsils. There are also other viruses, though rarer, that may infect the parotid glands that may cause an illness similar to mumps. The sole cause of mumps is the mumps virus, which can easy be spread from one person to another person by way of infected saliva. In the event that a person is not immune, it is easy to contract the disease by simply breathing in the saliva droplets of a person who has just coughed or sneezed and is infected with the illness. It is also possible to obtain the mumps virus from sharing a cup or sharing utensils from a person who is infected with the mumps. As it can be seen, the mumps are just about as contagious as the influenza, or flu, virus is. Orchitis. This inflammatory condition only affects men, causing the swelling in either one or both of the testicles. Though this is a painful occurrence, it very rarely leads to the inability to father a child, which is sterility. Pancreatitis. This refers to the swelling of the pancreas. The symptoms and signs of this inflammatory condition include nausea, vomiting and pain located in the upper abdomen. Encephalitis. Similar to the mumps in that it is a viral infection, this is a condition that inflames the brain. Because the brain is such a sensitive place, encephalitis may lead to neurological problems and has the potential to become very life threatening. Again, though this is a very serious complication, encephalitis from the mumps is a rare occurrence. Meningitis. This is the inflammation and the infection of both the membranes and the fluid that surrounds both the spinal cord and the brain. Should the mumps virus decide to spread throughout the bloodstream in order to infect the central nervous system, meningitis may occur. However, similar to encephalitis, the occurrence of meningitis as a complication of the mumps is very rare. Inflammation of the ovaries. Obviously a condition that only affects women, a symptom of this condition may include pain in the lower abdomen. However, it rarely affects her fertility. Miscarriage. Again, another condition that will only affect women, miscarriage may occur, especially when contracting the mumps while early in a pregnancy. If anybody begins to experience signs or symptoms that are common to the mumps, it is important to call the doctor. The next couple of sections may help in preparation for this appointment. Pre-appointment restrictions. Make sure to ask if there any present restrictions that must be followed prior to making the appointment, such as keeping away from other people in order to prevent spreading infection. History of symptoms. Take a notepad and write down any and all symptoms that have been present and how long they have been present. Recent exposure to any possible locations of infection. Try to remember whether any exposure may have been made to anybody who shares the same symptoms or signs common to the points within the last two or three weeks. Key medical information. Think about whether any medication has been taken and write down their names, as well as any other health problems that are present. Questions to ask the doctor. In order to make the most out of the time spent with the doctor, because it is limited, write down all intended questions in advance to remember to ask them. What are some of the more likely reasons for experiencing these signs and symptoms? Is there anything else that may be causing them? How soon will this condition improve? Are there any helpful self-care tips or home remedies to relieve symptoms? Is this contagious and for how long? What steps are necessary to avoid infecting others? Do not feel shy to ask any other questions should something come up that is not fully understood. What symptoms and signs have been noticed? When were these signs and symptoms first noticed? Have any of these symptoms and signs gotten worse? Do any of the symptoms include abdominal pain or testicular pain? Has anybody else close experienced the same kind of symptoms that are similar and common to mumps in the last month or so? Is the infected current with all the recommended vaccines for the age group in which they fall? Is the infected undergoing treatment or are there any other treatments being done for other medical instances? What drugs are being taken, including over the counter, prescription, supplements and vitamins? Is the child in school or within child care? Is the infected either breastfeeding or pregnant? It can be stressful waiting for the appointment to come around, though it is possible to ease the symptoms of the mumps by using over the counter pain relievers, such as acetaminophen (Tylenol, others) or ibuprofen (Motrin, Advil, others) in addition to a cold compress. However, do not give any child aspirin without first consulting a doctor. Try to rest as often as possible, refraining from coming into contact with other people until having first seen the doctor. Within the first week that symptoms and signs begin to appear is when the mumps are their most contagious stage. Should the doctor suspect that the mumps are to blame for the symptoms, it may be necessary to take either a blood test or a virus culture. The blood test may be useful in detecting antibodies for pumps, which will determine whether or not this is a past or a recent infection. Due to the fact that the mumps are caused by a virus, it will not be effective to take any antibiotics. As with just about any viral illness, the mumps infection need only complete its course. Luckily, the majority of cases of the mumps, provided that there are no complications, will only last about two weeks. As a general rule of thumb, once a week has passed after a diagnosis of mumps, a person can no longer be considered contagious. For the most part, once an infection has occurred or the immunization of mumps has occurred, a person is considered to be immune to mumps. The vaccine for mumps is typically given in an inoculation that combines measles-mumps-rubella, or MMR. This contains the most effective and the safest form of each kind of vaccine. 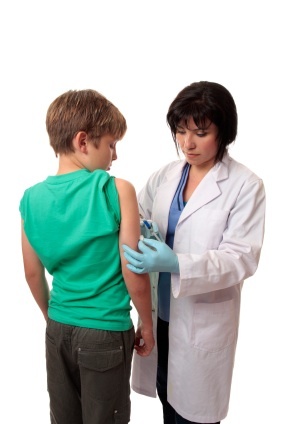 Typically two doses of the MMR vaccine are applied as recommended prior to entering school, with the first being between the ages of 12 and 15 months and the second either between the ages of 4 and 6 years or the ages of 11 and 12 years. Due an outbreak that recently occurred out in the Midwest, both health care workers and college students have been strongly encouraged to ensure that they have had their two doses of the MMR vaccine. It has become increasingly obvious that just one dosage does not offer a sufficient amount of protection were an outbreak to occur. However, because this second dosage recommendation did not start until the late 1980s or the early 1990s, there are many young adults who have not actually gotten a second dosage and should consider doing so now. Women before 1957 and will not be having children, have had a positive rubella test or have already had the rubella vaccine do not need more vaccinations. 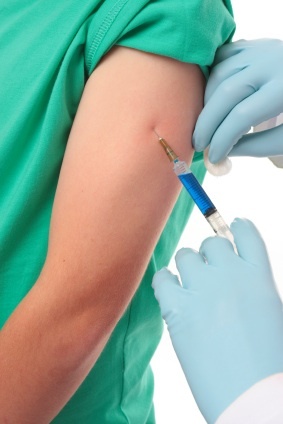 are people who have undergone a very serious, life threatening allergic reason to the antibiotic neomycin or to gelatin.In the event that cancer, a blood disorder or any other immune system affecting disease is present, it is important to consult a doctor before getting the MMR vaccine. Side Effects of the VaccineThe MMR vaccine cannot cause mumps and generally, people will not experience any kind of side effect from the application. A small handful of people might experience a rash or a mild fever and some may experience aches in the joints for a little while afterward. Not even one out of every million doses causes any kind of serious allergic reaction. There have been concerns about whether or not there was a connection between autism and the MMR vaccine, though there have been extensive reports by the Institute of Medicine, the American Academy of Pediatrics and the Centers for Disease Control and Prevention, all of which conclude that there is no such scientifically proven link between the two. There is also no scientifically proven benefit in separating and individually taking the vaccines. The previously mentioned organizations have made a note that the autism spectrum disorder has often been found to be in toddlers for the first time between the ages of 18 and 30 months, which, as previously mentioned, is around when children are first given their MMR vaccine, but that the coincidence is merely that and should not be mistaken for any kind of cause and effect relationship. Make sure to keep well hydrated with plenty of fluids. In boys, should any pain or swelling of the testicles begin to occur. Why do you list the dangerous MMR vaccine as a good option? First, those of us looking to natural health treatment do NOT want toxic vaccines. Second, the recent fraud involving the CDC and the fact that Black males have a 340% Risk of Autism from getting the “safe” MMR vaccine. Third, many, many experts agree that combination vaccines are the most damaging. If anyone chooses to get a vaccine, it MUST only be done 1 at a time, with at least 4 weeks between injections. Since there is not 1 study showing vaccines are safe, please do not ever state they are.